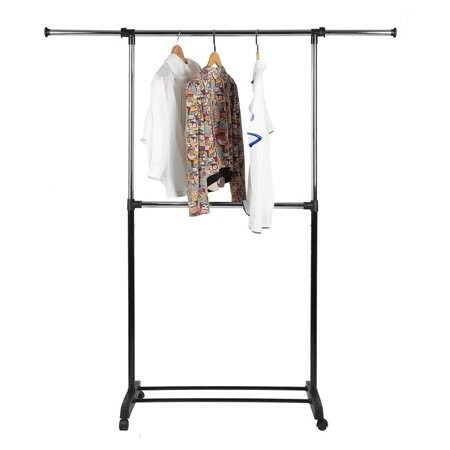 This Whitmor Adjustable 2-Rod Garment Rack helps create extra wardrobe storage in your dorm room, laundry room or bedroom! 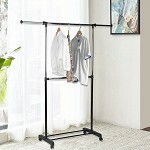 A double hanging space allows room for shorter garments, such as pants, sweaters and shirts. 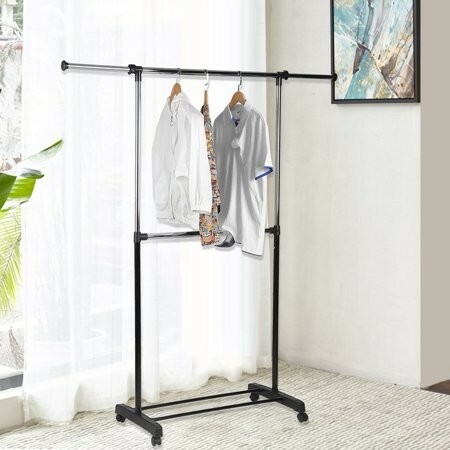 This versatile garment rack features smooth-rolling wheels for easy mobility, and has adjustable height and width options to accommodate your growing storage needs! 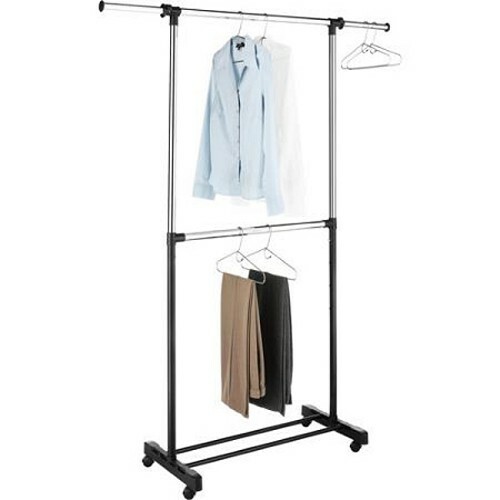 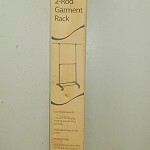 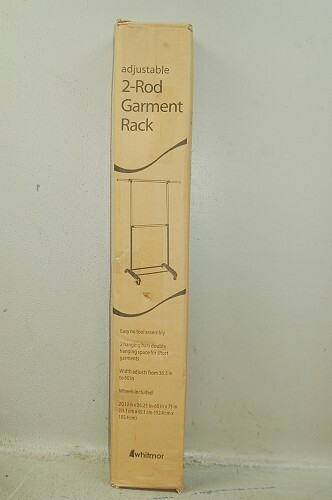 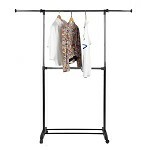 Garment rack height adjusts from 42.75" to 73"
Top hanging bar width adjusts from 36.5" To 60"